Some 500,000 Rohingya refugees have fled to Bangladesh since August. 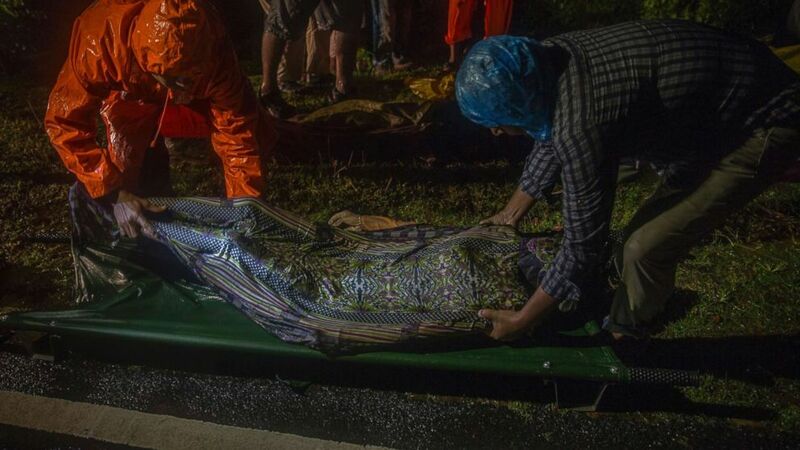 Dramatic images show bodies washed up on shore after a boat capsized while carrying Rohingya refugees trying to reach safety in Bangladesh by crossing the Bay of Bengal from Myanmar. Strong winds and high seas blew them off course and more than 60 drowned within sight of the shore, including women and nine children. 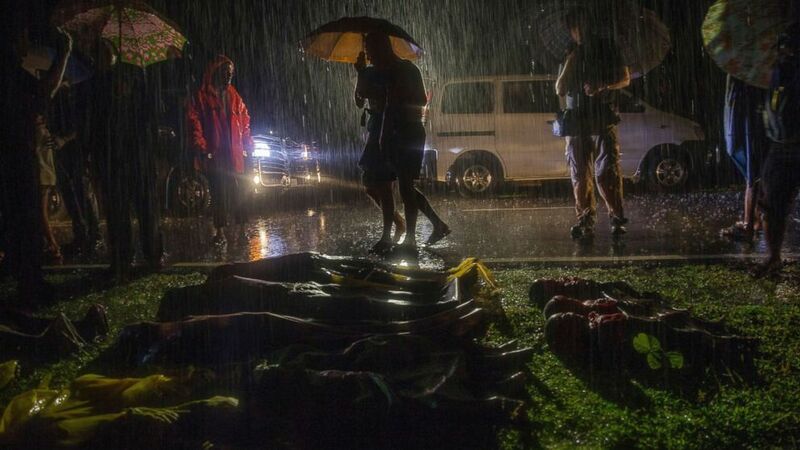 Survivors did not know how many were aboard, but 27 were taken to local hospitals. It was unclear how many were still missing. 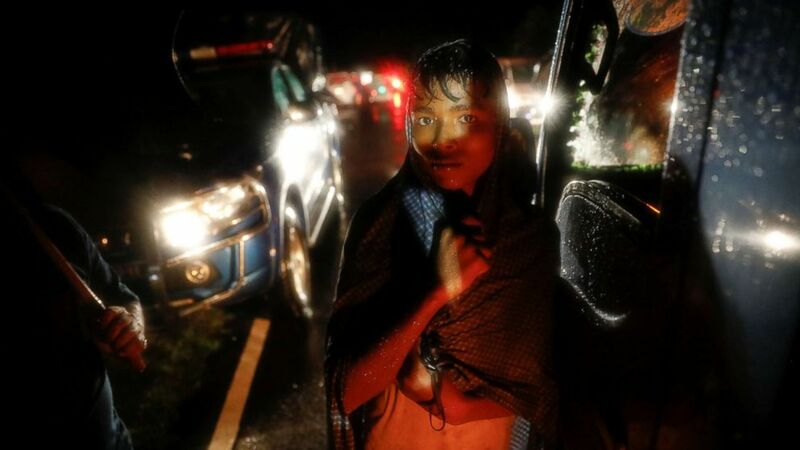 The number of refugees fleeing into Bangladesh from Myanmar has topped 500,000 since August, according to the U.N. Office for the Coordination of Humanitarian Affairs. Since the exodus began, a number of boats have capsized while making the perilous journey. An ethnic minority in Myanmar, the Rohingya people have a long history of persecution, though in recent months their plight has become more dire, with human rights groups saying it verges on ethnic cleansing. Refugees arriving in Bangladesh describe harrowing accounts of killings, rapes and entire villages burned to the ground, according to the U.N.
“This is the largest mass refugee movement in the region in decades, and the total number of Rohingya refugees in Bangladesh is believed to be well over 700,000 people,” said Farhan Haq, deputy spokesman for the U.N.
(Dar Yasin/AP) People walk past bodies of Rohingya Muslims, who died after their boat capsized in the Bay of Bengal as they were crossing over from Myanmar into Bangladesh, Sept. 28, 2017. 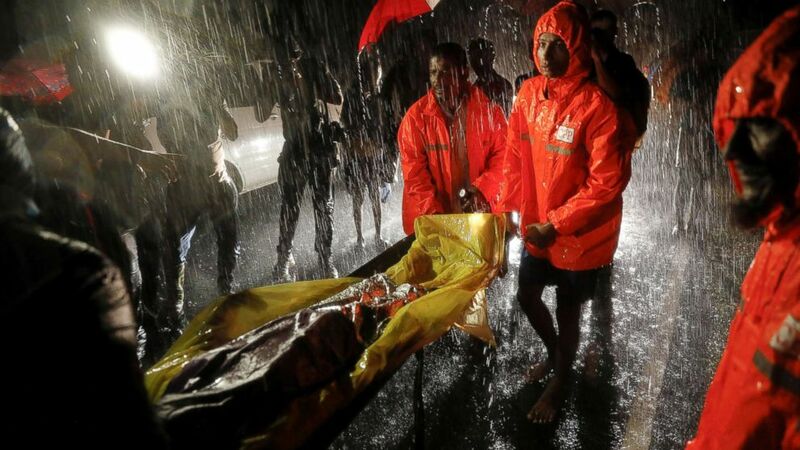 (Dar Yasin/AP) Rescue workers carry body of a Rohingya Muslim, who died after their boat capsized in the Bay of Bengal as they were crossing over from Myanmar into Bangladesh, near Inani beach, in Cox's Bazar district, Bangladesh, Sept. 28, 2017. (Damir Sagolj/Reuters) Bodies of Rohingya refugees are transported after their boat capsized off the Inani beach near Cox's Bazar, Bangladesh, Sept. 28, 2017. 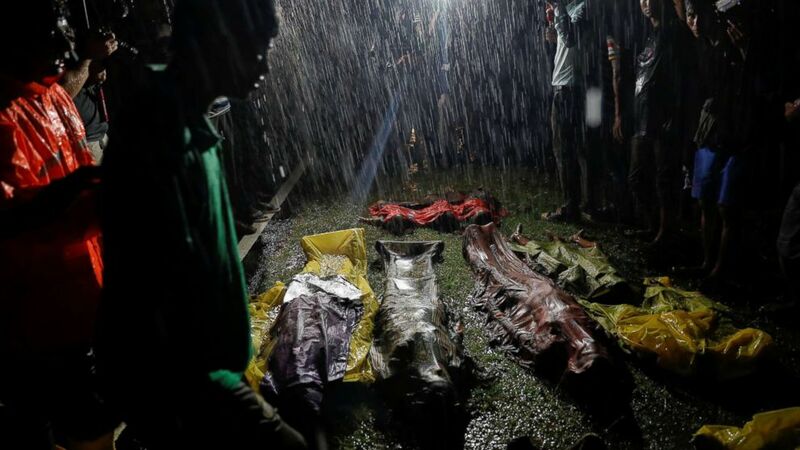 (Damir Sagolj/Reuters) People gather in the rain around bodies of Rohingya refugees after their boat capsized off the Inani beach near Cox's Bazar, Bangladesh, Sept. 28, 2017. (Damir Sagolj/Reuters) A man watches as bodies of Rohingya refugees are transported after their boat with passengers fleeing from Myanmar capsized off the Inani beach near Cox's Bazar, Bangladesh, Sept. 28, 2017.